woow , I fall in love with this sunglasses ! Loving the blouse and groovy shorts combo!! CUTE OUTFIT! aahhh, i really like it. 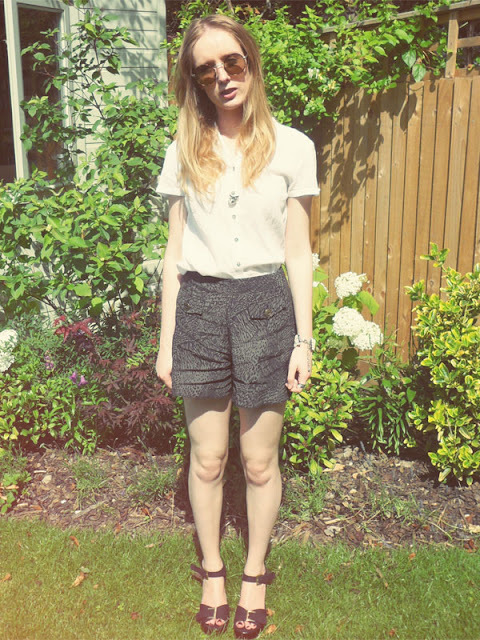 This outfit is really lovely :D really liking the shorts!! lovely photoshoots i like your glasses! Love your shoes and shorts! Gorgeous. love your shorts and top! i love the background and your sunnies! 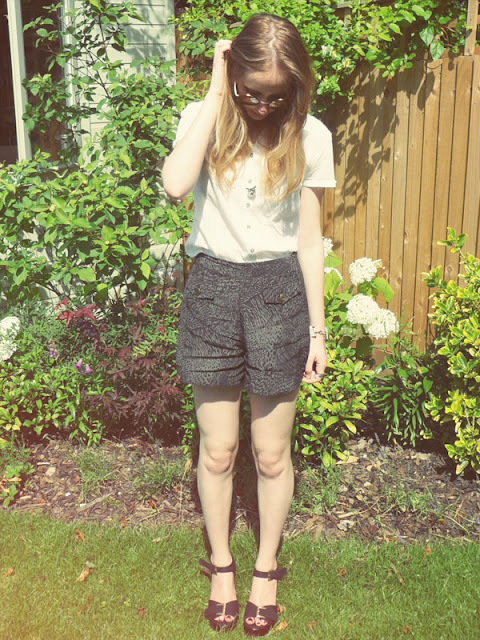 Cute, cute, CUTE shorts & sunnies..! Hi, Sarah! I just discovered your blog by chance and I love it :) . Your style is amazing! So you've got a new follower! I love this! Those shorts are super cute! Cute blog. Love the sunglasses!